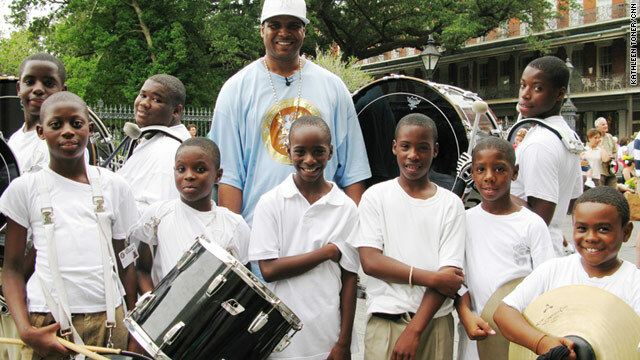 Derrick Tabb and The Roots of Music are taking donated instruments and giving them to children in the program. Editor's Note: "CNN Heroes: An All-Star Tribute" replays on CNN International on Christmas Eve, December 24, at 1000, 1800, 2300 GMT and on CNN/US on Christmas Day, December 25, at 6 p.m. ET/3 p.m. PT, 10 p.m. ET/7 p.m. PT, and 1 a.m. ET/10 p.m. PT. (CNN) - In this season of holiday parties and gift-giving, CNN Heroes offers ways to give from your heart - without having to reach into your wallet - and help a Hero help others. Happy giving. Having a holiday soiree? Let it benefit Wine to Water and spread holiday cheer worldwide. Doc Hendley, a 2009 CNN Hero, started holding wine-tasting events to raise awareness and funding for clean-water projects. Now his organization, impacting more than 50,000 people in nine countries, provides hosting tools to turn your party into a benefit for clean-water projects in remote regions around the globe. The group also offers its own wines to party hosts at discounted prices. Get your party started at http://winetowater.org/get-involved. Overwhelmed with the bounty of your backyard garden? Feed hungry neighbors by logging onto Ampleharvest.org. Gary Oppenheimer, a 2010 CNN Hero, created Ampleharvest.org to allow American gardeners to share their fresh bounty with neighbors in need. 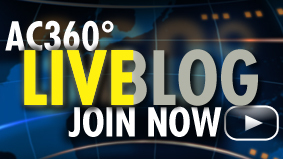 Log on, enter your ZIP code and start giving. Or register your pantry so that those prepared to give can find you. Locate your neighborhood pantry at www.ampleharvest.org. Your CDs, DVDs, iPods and MP3 players can bring joy and comfort to homesick troops over the holidays. Kaylee Radzyminski, a 2008 CNN Hero, has sent more than 750,000 CDs and DVDs to troops based far from home. Purge your collection today at http://www.tunes4thetroops.org/participate.htm. Video: Anderson, Kathy Griffin, and Anderson's mom? Editor's note: Tune in to CNN beginning at 10pm ET on New Year's Eve for the Anderson Cooper 360° special "New Year's Eve Live." 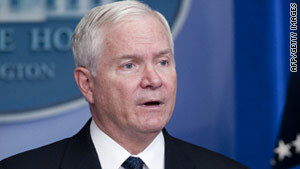 Defense Secretary Robert Gates is essentially telling gays and lesbians serving in the military not to come out yet. (CNN) - Despite President Barack Obama's signing of a law repealing the military's "don't ask, don't tell" policy, Defense Secretary Robert Gates sent a memo to troops warning them that it remains in effect until 60 days after the government certifies that the military is ready for implementation. The Pentagon says it does not know how long the certification process may take. In the meantime, Gates is essentially telling gays and lesbians serving in the military not to come out until 60 days after that determination is made. "In order to prevent any confusion, I want to be perfectly clear: at this time, there are no new changes to any existing Department or Service policies," said the the memo, released Thursday. "Service members who alter their personal conduct during this period may face adverse consequences," Gates wrote. Before the ban is completely lifted, the president, the secretary of defense and the chairman of the Joint Chiefs of Staff will have to certify that the repeal can move ahead without negatively affecting unit cohesion and military readiness. (ProPublica) - During the past few decades, scientists have become increasingly persuaded that people who suffer brain injuries benefit from what is called cognitive rehabilitation therapy - a lengthy, painstaking process in which patients relearn basic life tasks such as counting, cooking or remembering directions to get home. Many neurologists, several major insurance companies and even some medical facilities run by the Pentagon agree that the therapy can help people whose functioning has been diminished by blows to the head. But despite pressure from Congress and the recommendations of military and civilian experts, the Pentagon's health plan for troops and many veterans refuses to cover the treatment - a decision that could affect the tens of thousands of service members who have suffered brain damage while fighting in Iraq and Afghanistan. Tricare, an insurance-style program covering nearly 4 million active-duty military and retirees, says the scientific evidence does not justify providing comprehensive cognitive rehabilitation. Tricare officials say an assessment of the available research  that they commissioned last year shows that the therapy is not well proven. But an investigation by NPR and ProPublica found that internal and external reviewers of the Tricare-funded assessment criticized it as fundamentally misguided. Confidential documents obtained by NPR and ProPublica show that reviewers called the Tricare study "deeply flawed," "unacceptable" and "dismaying." One top scientist called the assessment a "misuse" of science designed to deny treatment for service members. Tricare's stance is also at odds with some medical groups, years of research and even other branches of the Pentagon. Last year, a panel of 50 civilian and military brain specialists convened by the Pentagon unanimously concluded that cognitive therapy was an effective treatment that would help many brain-damaged troops. More than a decade ago, a similar panel convened by the National Institutes of Health reached a similar consensus. Several peer-reviewed studies in the past few years have also endorsed cognitive therapy as a treatment for brain injury. Tricare officials said their decisions are based on regulations requiring scientific proof of the efficacy and quality of treatment. But our investigation found that Tricare officials have worried in private meetings about the high cost of cognitive rehabilitation, which can cost $15,000 to $50,000 per soldier. Reporter's Note: President Obama is spending his traditional Christmas in Hawaii. I, on the other hand, would not trade the cutting cold for all the sand on the beach. That’s what I’m writing about in today’s letter. It was windy and surprisingly nippy last night as I came home, so as my wife was getting ready to take one of our daughters to the dentist this morning, I put on an old recording of Baby, It’s Cold Outside. She leaned out of the door of the warm bedroom. “Do you think that’s really a very friendly song to pick at this moment?” she called down the stairs. I laughed and went about my business. I could never go to Hawaii the way you do at Christmas, because I like the cold. I know that I have just been conditioned that way, as surely Pavlov’s dogs; nonetheless when Christmas comes around I like the temperatures to drop right into the basement. I want my eyes to water, my fingers to go numb, and my skin to sting each time I open the door. And I want to feel that feverish heat rise inside me when I come back inside, as if I am suffering a brief onset of typhoid. Washington (CNN) - President Barack Obama on Wednesday hailed major legislation passed by Congress in the lame-duck session and said the progress showed "we're not doomed to endless gridlock." At a year-end news conference before leaving town for his delayed holiday, Obama emphasized the achievements of his administration and the Democratic-led Congress while also acknowledging that tough issues still face the nation in the coming year. Obama later departed for Hawaii to join the first family for the holidays, and both the Senate and House adjourned for the year. A new Congress with Republicans controlling the House and holding a stronger minority in the Senate convenes on January 5, 2011.